Another Year Over . . .and What Have I Done? A writing life is a lot like a teaching life and a mom-ing life, in that there isn't really an end to the work. Sure, you finish things, but there are more things. It's never really done. I'm bad at stopping to celebrate my successes sometimes, just swinging to the next trapeze and holding on for dear life instead. So, here's a look back at 2017 with an eye to what went well in my writing life. I gotta say, looking back on it feels pretty dang good. I wrote 324,751 new words as of December 27. I'm hoping for a few thousand more before the calendar flips. On December 31st, my daily writing chain will be 1,556 days long. I attended 6 conventions as an author guest. I spent most of this year finding my joy in the words again, after three years straight of nose to the grindstone had left me blistered and grumpy. And I can definitely say I am loving my life of words again, so that's the most important win of 2017 right there. February: I finished first round edits on Face the Change, the third of the Menopausal Superhero series, keeping on track for my scheduled release date. This was especially important as I'd had to do a revise and resubmit after sending in a rushed draft that wasn't ready for prime time. readers and get my geek on in a new venue. (I can look forward to returning to Mysticon in 2018, too). I took my sister with me and found out she's a wonderful companion for convention fun. I hosted and provided feedback for the Son of a Pitch contest, which is always great fun and lets me help other writers along their journey the way I was helped and continue to receive help. 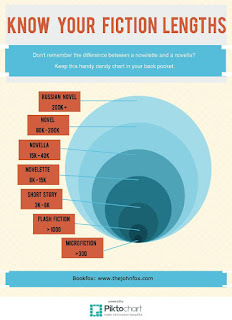 It's a lovely little circle of the writing life thing. March: Yay for finishing edits! Face the Change made it through second round edits and I didn't hurt anyone in the process. 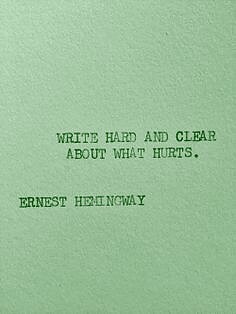 (Even a non-traumatic editing process is still kind of painful, though necessary and helpful). April: I got a convention for my birthday! Ravencon invited me to be a guest author and I had a wonderful time. It was on my birthday weekend, too, so I took my husband with me and we had a geektastic romantic weekend together. (And I'll be back for more spring geekery in 2018). I also got to try out a new event: a science fiction and fantasy festival at a library. May: I began writing something completely new, at the prompting of a writing friend who was putting together a book bundle of post-apocalyptic, young adult, romance novellas--for the record I'd never written any of those things, let alone the three combined, and I *adore* trying new things in my writing. I didn't finish it in time to be included in that project (hoping to finish by the end of January, and it'll be a full-length novel), but starting it was a joy, and a first step on my road to recovering my joy of writing. With luck Thursday's Children, will be available for you to read in 2018. I also got to sell my books at Atomic Empire during Free Comic Book Day and judge the Lune Spark contest for young writers. June: Another first time convention for me: ConCarolinas! This is one of the bigger cons in my geographic area, and I was super excited to be included. It was in a lovely venue and let me meet in person some writers I only knew online, fellow members of Pen and Cape Society. 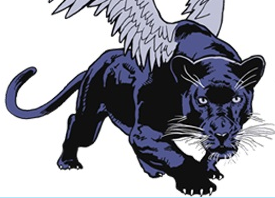 I also served as a judge for the Women's Fiction Writers Association Rising Star Contest and taught a course on the speculative fiction short story for Central Carolina Community College (I'm teaching a novel writing course there this spring). 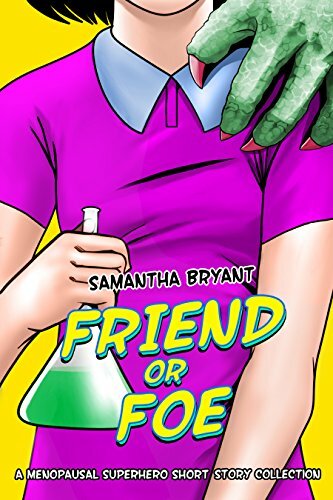 If that weren't enough, Curiosity Quills also released Friend or Foe and Other Stories, a collection of side stories from the Menopausal Superhero series. time for Con-Gregate, for which I was a return guest. I got to bring my sister again, and we celebrated my new book release with a great group of friends and fans. I was invited to be on a panel about Love stories at my library. I finished out the month with a three day writing retreat with my critique group in the mountains. A few days freedom from my other responsibilities where I get to be "just a writer" and leave my other hats on the rack is a luxury I wish I could offer to all the writers in my life. I'm so fortunate to have my husband and family who are willing to give me that space and time to pursue my other passions. I finished my short story for our group anthology and made some serious inroads into Thursday's Children. August: I began this month at the beach, thanks to my generous parents who rented a condo for a week and invited us to come share it with them. It was a productive month despite being the one in which school starts and balance of where the hours of my day shifted back to teaching over writing. 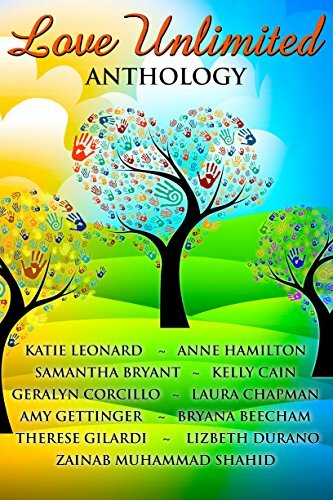 My third release of the year came out: The Love Unlimited anthology included a short story for Jessica "Flygirl" Roark, "Flygirl's Second Chance." This one is still free on Amazon for a few more days if you'd like to check it out. September: Another round of Son of a Pitch during a month with huge family and professional (teaching) obligations reminded me that I needed to keep control of my time and balance or I was going to crash and burn. I made it through and lived to tell the tale and that's something to be proud of. November: I finished out my year's conventions with a trip back to Atomacon. Atomacon was the first convention to accept me as an author guest, so they have a special place in my heart and I was happy to be back (and not just because it's a quick jump to the beach from there, though that is a perk). I tried out a brand new event: a book fair in Charlotte. Given the chance, I'd do it again. I judged another writing contest, this one for Legendary Women. 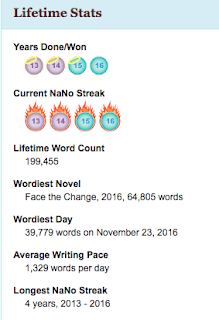 I tried NaNoWriMo, but 50K just wasn't in the cards. I can't complain too much about that, though, given all the blessings of friends and family that filled my month. My parents visited for Thanksgiving and our annual Extra Life fundraiser/gaming party was a success. December: I finished out the year with a sale on all my Menopausal Superhero books, which has already netted me a few new readers and newsletter subscribers. Just today, I had a planning meeting with another writing friend about a nonfiction book we're going to craft together. With just a few more days left in 2017, I'm hoping to finish the chapter I'm on in Thursday's Children, and maybe one more. I'm looking forward to another busy and productive year in 2018 doing what I love. Here's hoping it's the same for each of you. My eldest daughter is a senior in high school. Almost eighteen. Almost a college student. She's nearly as freaked out about that as I am. It's exciting and scary all at once. We've got one more semester with her at home and then shoom! off she goes. We've been smart about this "leaving the nest" thing in some ways: we visited colleges last year, she's had a checking account for a couple of years now, we met the application deadlines, she has a good amount of driving experience, she's holding down a job and still making good grades, she can cook something besides peanut butter and jelly sandwiches. We must have done okay, because she got accepted where she wants to go and we're already seeing some scholarship love. In other ways, it feels like I'm running out of time to make sure she's ready. I've never made enough money to have significant savings, and I'm out of time now to put aside dollars for her schooling. 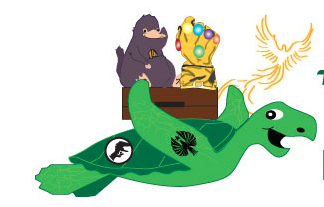 We're just going to have to figure out how to make it work with what we have. She's never really done her own laundry. Will she go to bed at all if I'm not there to tell her that she has to stop and get some rest? The oddest feeling, after planning for her to go to college her whole life, is wishing she just wouldn't go. Maybe that's the part people mean when they talk about "empty nest." My nest will hardly be empty. I have a younger daughter, a husband, and a very needy rescue dog, plus 150 or students each semester. Plenty of folks to take care of. But still, I won't be taking of her, at least not in that day to day basis kind of way. I know she'll love college. I remember how much I did. It's a wonderful opportunity, having four years to focus on what you love and learn how to make that into a way of making a living. 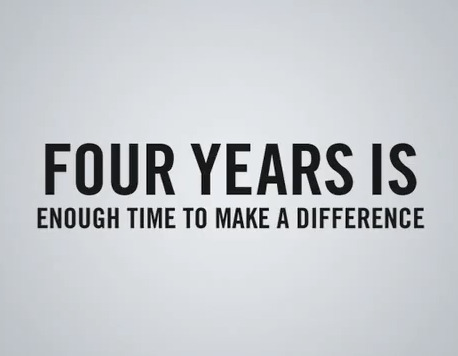 Four years of having your mind and world expanded daily. She'll be awesome. She was made for this. I'm just not sure I am. 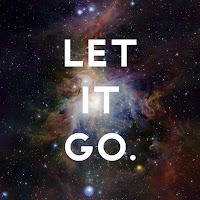 What do you do when you need to let it all go a little while? What shuts off your brain and takes you to a happy place? Me? I'm a comfort TV watcher. I don't actually watch much TV, though there are plenty of shows I enjoy. Most weeks I'm lucky to fit in a single episode of anything at all--there just isn't that much unscheduled time, and I've got other things to spend it on when it comes. So, I've started watching all the stuff the cool kids watch, and finished almost none of it. It has taken me as long as three years to watch a single season of a show, especially if I want to watch it *with* someone, because then *both* of us have to be available. It gets to the point where even watching TV, which should be passive escapism, starts to feel like an item on my to-do list, another thing I'm behind on. So, when I get a chance, I'll go back and pick something I've already watched over and over. Something I know by heart. Buffy. The Quiet Man. The Monkees. Scooby Doo. Old Musicals. There are a lot of advantages to re-watching something I already love. I can follow it, even if I zone out. If I miss something, I can remember it. I notice new things about an old love. I get that ratty bathrobe kind of feeling of stepping into something that fits me right and makes me feel cuddled and calm. If I don't get to finish it, I'm less frustrated. I knew what was coming anyway. If I sucker the husband or the daughters in, I get to share something that's special to me with someone who is special to me. If I get to watch it with someone else who remembers it, too, we can go tripping down nostalgia lane together. How about you? Any other re-watchers out there? What draws you back to things you've already seen? It's the first Wednesday! Which means IWSG Day. Today's question: As you look back on 2017, with all its successes and failures, if you could backtrack, what would you do differently? 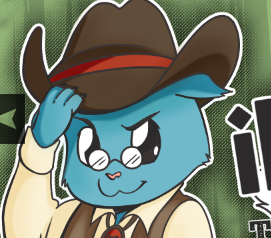 After you see what I have to say, be sure to check out other posts and our lovely and generous co-hosts: Julie Flanders, Shannon Lawrence, Fundy Blue, and Heather Gardner! 2017 was a bit of re-set year for me in my writing life. I've been driving myself pretty hard for the past three years, putting out a novel a year, promoting my work by participating in author events, judging contests, keeping a social media presence, writing short stories for anthologies and magazines, maintaining my daily writing habit (now over four years in a row!) and keeping up my weekly blog. Of course, I was doing all this without having stopped doing anything I was already doing, like teaching six Spanish classes to 137-158 children each day, raising two children and a dog, maintaining a marriage and a home, reading a book every week, preparing our family's meals, and occasionally playing a board game or seeing a movie. the signs, and I staged an intervention with myself. I was losing the love for writing. So it was time to remember why it's fun. I did that by giving myself permission to step away from the Menopausal Superhero series I've been writing since 2014 and write something different. I wrote a lot of short stories, without worrying about whether I had anyplace to publish them or not, ranging in length from 100 word micro-fiction to flash fiction to near-novella length. I rediscovered my love of poetry by reading a poem every single day and writing about it. I began a new novel that I'm nearing the end of, something completely different than anything I've written before. This hiatus is going to mean that there will be longer than a year between book three and book four of my series. But, it's also going to mean that when I come back to those characters and that world, I will do so with a feeling of reuniting with old friends. The book will be the better for it. I'll trust to forward momentum to help me find readers for it when I get there. So, I feel like my 2017 was spent well. I'm definitely getting my mojo and playful enjoyment back, while still feeling like I'm taking it seriously and making progress. That's the balance I'm always seeking. The only thing I would change is that I would give more attention to the release of Face the Change back in July. The poor thing is still struggling for reviews because I didn't put my marketing machine hat on and send out enough ARCs and such. It didn't help that Amazon's mysterious review policies resulted in some of my reviews just disappearing :-( I'm working on that now, slowly, but I feel like I did the work a disservice by not getting the word out enough. Looking forward to hearing about how all of you did with your goals and plans in 2017 and how you feel about it now! Please comment below. It was clear pretty early on in November that I wasn't going to make 50,000 words this month. Once that would have broken my heart and filled me with ugly angst. But I'm taking it, well maybe not exactly in stride, but in step, without stumbling. Fitting my writing in around a full time job and family responsibilities, I usually write about 35, 000 words a month (though they may not be ALL on a single project). An extra fifteen doesn't sound so terrible…and I've done it before. So, I thought I could do it this year, too. But there are two things I rely on to get the extra time that I didn't get this year: Veteran's Day and Thanksgiving weekend. I mean, I still *got* those things, obviously--the holidays still happened--but I didn't get them for writing. I spent Veteran's Day taking my favorite veteran out to lunch, then taking my quickly growing daughter shopping to replace all the vital things she'd outgrown. Also valuable uses of my time, but not uses that add chapters to my novel. And my parents came in for Thanksgiving weekend. Visitors are not conducive to writing large word counts. They are conducive though, to happy memories and shared laughter. Couple that with going to a fan convention (three days of more interaction than writing time) and doing a Book Fair, and I actually had less writing time than is average despite it being a month with four extra days off of school. So, that's all the reasons. And looking at them, I feel good about what I did get done this month, while still making progress on my new novel. But that doesn't change feeling like I failed. I'm mean to myself that way sometimes, not cutting myself the slack that I would readily offer others. I ask a *lot* of myself. 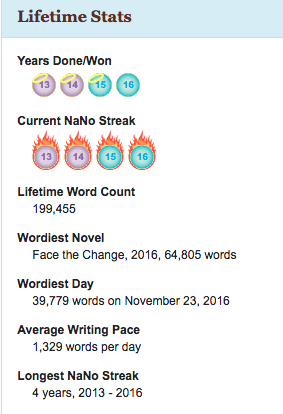 Still, I am *way* more okay with have a NaNoWriMo fail than I ever would have been in the past. novels in three years, I decided it was time to take a step back and breathe a little. 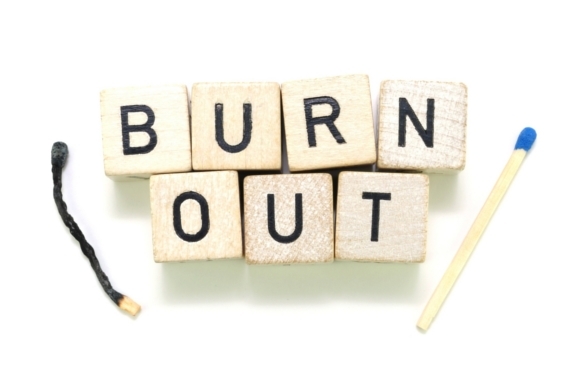 I was burning out and losing the joy. So, I didn't write the fourth novel in my likely five novel series. Instead, I wrote a lot of short pieces, accepted a lot of engagements and opportunities to network and promote my work, and wrote a completely different novel (well, I'm not quite done yet, but I'm hopeful of finishing before I run out 2017). And I'm getting there. Having fun without driving myself crazy. 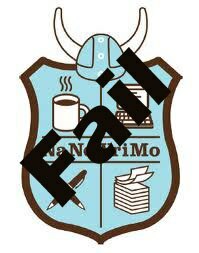 So, I failed at NaNoWriMo. What have we learned? 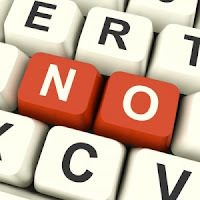 I'm learning to say no…to myself. Thanksgiving can be a pressure cooker of a holiday, literally and metaphorically. Families get together, which can be lovely and affirming or harrowing and difficult or some mixture of all that. The meal-preparer has considerable stress, accommodating all the various dietary restrictions, likes and dislikes, traditional must-haves, and just making a heck of a lot of food. And all of that assumes that a lot of things went right, like having a family to get together with and enough money to be able to worry about whether you've got the prefect pie crust instead of worrying about whether you can keep the electricity on this month. It can be even harder, with long hours off of work to linger alone and worry yourself about the state of your life. You can be separated from the ones you love, or dealing with a loss. It can be more a torture than a vacation. Here at La Casa Bryant, we are fortunate in that we are healthy and together this year, with sufficient money to have a feast with our family, with whom we anticipate a harmonious time. We cut the stress by sharing the work, and by ordering some aspects of the meal ready-made from our food co-op. 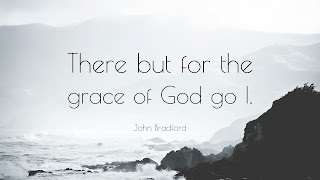 And we are lucky in that, too--for having the option. 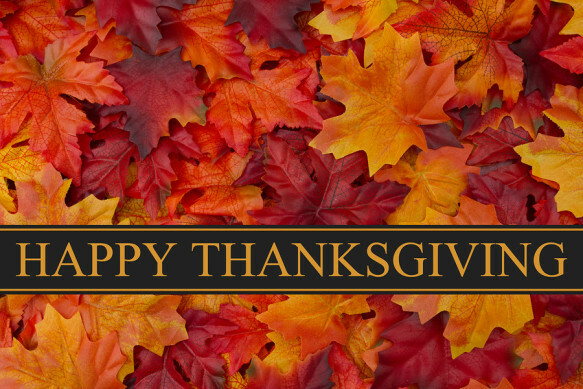 May all of you find joy in the company you keep tomorrow, and pleasure in the food you eat, and find that your life offers you a multitude of things to be grateful for. I've been experimenting a lot this year, at least in my writing. Trying new genres, new forms, new venues. I've been so focused on building a sustainable career as a writer in the past three years, that I was starting to feel burnt out. All this playing around has really helped me recapture the joy and fun of it. "The End" is something novelists can wait a long time to be able to write. Even a really fast full-time writer needs a few months usually to write a complete draft of a novel. Some of us have been known to work on a single book over the course of years. That delayed gratification has stopped more than one would-be-writer from seeing a project through. So, I decided I'd write some shorter things in 2017. Stories. A novella. I wanted to get to The End a little more often. 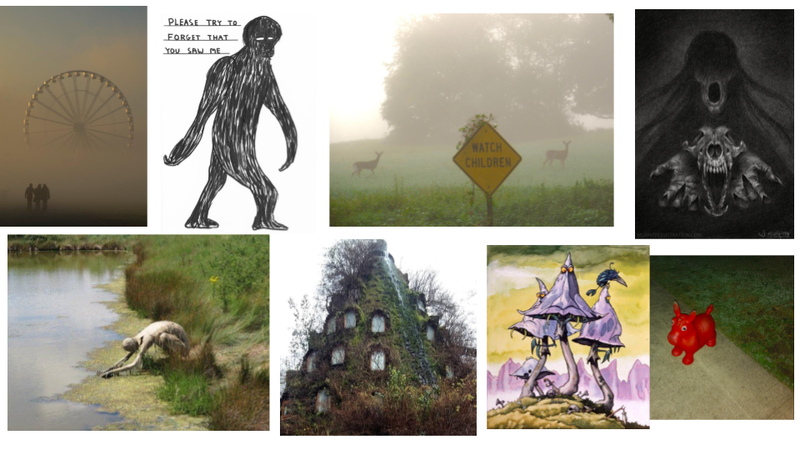 In October, I wrote daily flash fiction. Some of the pieces were as short as three hundred-ish words, and others as long as fifteen hundred. But each gave me a feeling of accomplishment just because they were complete. This month I'm writing microfiction, which is shorter yet, with a word cap of one hundred. It's almost like writing poetry, in that you have to defend each word. There's no extra space for unnecessary clutter. What's your sweet spot for length when you write or read? Do you like an epic tome or a haiku? It's the first Wednesday! Which means IWSG Day. Today's question: Win or not, do you usually finish your NaNo project? Have any of them gone on to be published? After you see what I have to say, be sure to check out other posts and our lovely and generous co-hosts: Tonja Drecker, Diane Burton, MJ Fifield, and Rebecca Douglass! I love NaNoWriMo. 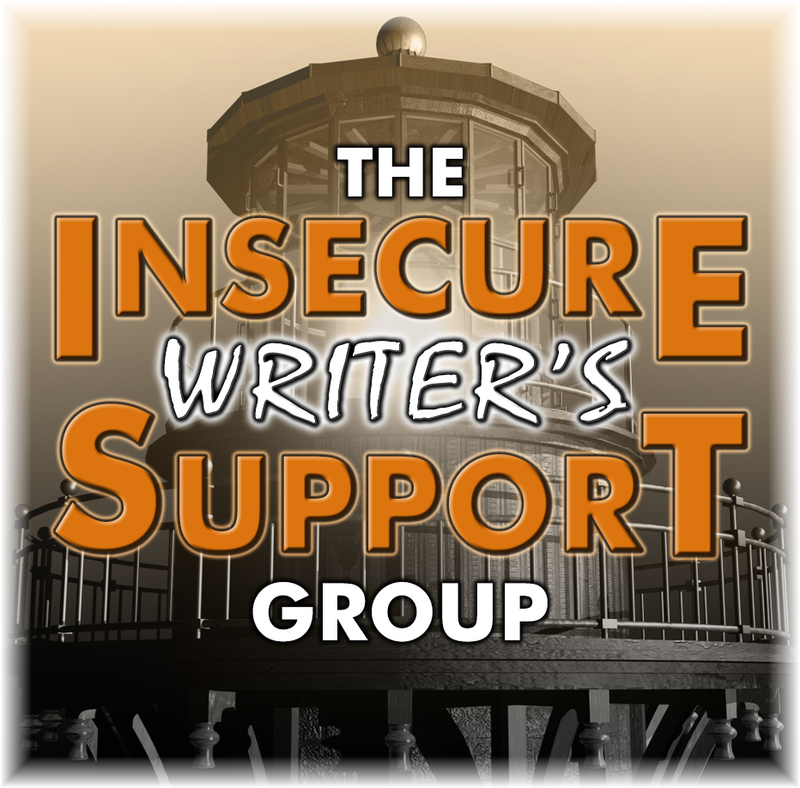 One of my struggles as a writer is persevering when I hit a wall. I can dither FAR too long over small details and stall moving forward on the big picture. 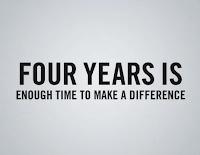 In fact, that's what I did for the first forty-two years of my life (okay, I probably wasn't writing much in the first six to ten years): I started things. But finished none. My daily writing habit, my critique group, and NaNoWriMo have all been a part of helping me start finishing things and see them into print. I'm a four-time participant and three-time winner of National Novel Writing Month. Every year I think I can't do it in November: 50, 000 words during a school month? But then we hit upon the idea of ordering our Thanksgiving dinner from Weaver Street Market and suddenly, I had Veteran's Day, and a four day weekend full of writing time. I can do a lot with a day off school. In 2013, I wrote the first draft of Cold Spring, a historical women's fiction book which will, someday when I finish it, become a historical fiction trilogy. 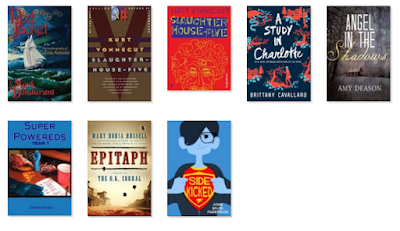 Though I feel good about the first book, I'm going to need to devote some serious time to historical research before I can finish this set of novels and I feel like I can't really send it out there for publication consideration until I've finished all three. In 2014, I wrote the first draft of a middle grade novel: Rat Jones and the Lacrosse Zombies, which I also plan to return to and whip into publishing shape. I still really love Rat, my main character. She just hasn't won the fight to the top of my to-do list again yet. In 2015 I didn't win, but I wrote 30,000 words towards the book I finished as my 2016 project: Face the Change: Book 3 of the Menopausal Superhero series, which was published in summer 2017! This year, I'm working on Thursday's Children, a new project (YA dystopian romance). I began the project his summer, hoping to submit it a novella into a book bundle some friends were putting out in September. But the story stalled, and clearly wants to be a longer, fully realized novel and not a novella. I've spent October thinking and planning and seeking feedback on the parts I've already written and I'm going in confident that I can finish this sucker in November. I'm a little nervous since my parents are coming to visit, which will leave me with less time, but my attitude is that even if I don't "win," I'll have more words than I would have gotten otherwise. I'll be that much closer to those magical words: THE END. So, I don't know if four times qualifies me to speak to what I "usually" do. 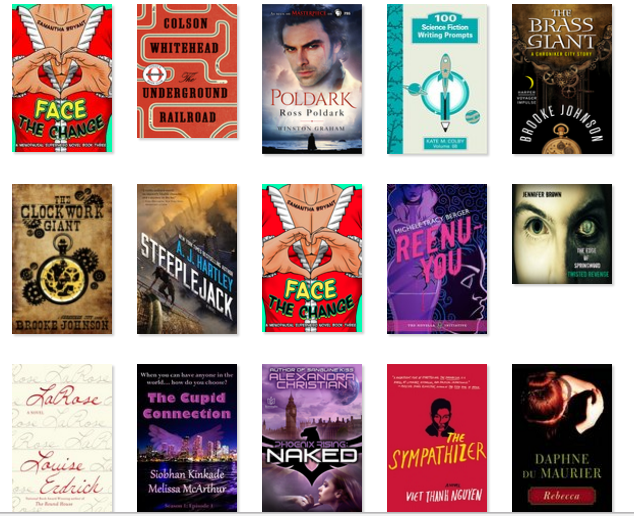 But I am a finisher, and I do plan to see all these books onto shelves and into digital readers. What NaNoWriMo does for me is apply some external pressure to move faster, even when the project doesn't have a publisher waiting. It makes me write through, over, and around things rather than just closing the computer for the night when I get stuck. It shuts down my internal editor and charges forward, jumping canyon sized plot holes and knocking down doubts. The camaraderie of knowing that others are sharing the struggle at the same time as me helps. It's all over social media all month which builds excitement and a feeling of being a part of something larger. What it doesn't do is give me a publishable draft. But revision is my friend. In fact, I LOVE revision (most of the time). I love taking my bare passionate lines and shaping and polishing them into fully realized stories with flow, pacing, and arcs. Now that I've traveled this road a few times, I understand how to revise my work effectively, and faster than I used to. So, once more into the breach, my friends! See you on the other side! I was invited to help judge the 2017 Spoken Word Halloween Contest for Pandora's Box of Horrors, and it's my pleasure to introduce you to our Honorable Mention entrant: Thomas Carty. Thomas Carty's "Vampire Killed by Love" receives an honorable mention for story appeal and literary structure, and a resolved dénouement. However, judges felt the author’s delivery was soothingly incongruent to the horror-themed content. Thomas was kind enough to answer a few questions about his work for me. Tell me a little about you as a writer: I have been writing since a child. I come from a people who have a love of poetry and storytelling. As far as I know I'm the first rhymers in the family. We never say "poet" as that's too posh. In our tradition a rhymers is known as a poet but not his works. The works may be known but not the composer. I say composer as in old times a lot of rhymers could not read or write and learned and recited their pieces. Lucky enough I can write as I cannot learn to recite for love or money. I'm a member of Tullamore Rhymers Club and I mage & Poesia among other loose collectives. Living in Galway Ireland, I grew up in Offaly but hope to move back to my parents North Longford in the coming years. What was the inspiration for your piece for this contest? It's an odd tale. I was advising a friend on her love life that if she loved a lover to let him go if he wanted to as they who love the flower let it grow and don't pluck it. This girl loves vampire stories and a eureka moment saw a tale of a girl who plucked the flower and let her lover sleep in and die from greed and laziness. Thus developed into a sister - a twin - who was the opposite. Then the idea of the healer priest (an Irish Catholic tradition) came in and it fell into place inside an hour. That's how I write in fits of inspiration. I read somewhere it's called "the divine madness"!!!! K.N. Johnson's "Specter Hill" took second place "for spoken word delivery, scare factor, and story appeal of the tale. However, judges agreed that the tale seemed to beg a fuller telling, that it felt incomplete." K.N. was kind enough to answer a few questions about her work for me. Tell me a little about you as a writer: My short story “Frigid” won Mythraeum’s Pygmalion contest and is being developed into a short film by Mythraeum, LLC and Loste Films. Filming begins January 2018. My work has appeared in Proximity Magazine and Incandescent Mind literary journal. 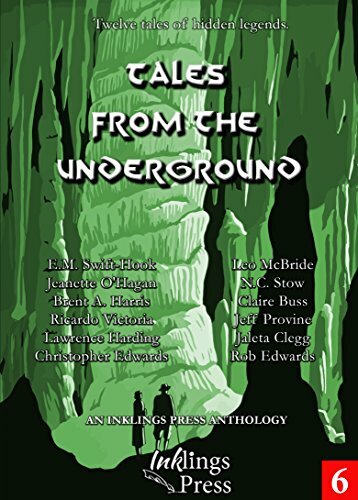 My short stories are included in the anthologies A Journey of Words, A Haunting of Words, Below the Deck - Tales from the Cellar and Polterguests. My dark science fiction story “Regolith” will appear in Kristell Ink’s upcoming anthology Terra Nullius. “The Clearing” will appear in the anthology On Fire published by Transmundane Press. What was the inspiration for your piece for this contest? I was researching ghost stories and legends particular to the U.S. midwestern state of Indiana and came across the Spook Lights. There are similar stories of such lights in other U.S. states, but this one is only an hours' drive from my home. It intrigued me that engineers from the esteemed Purdue University even investigated these sightings. While they came up with logical possibilities, they couldn't conclude with exact certainty the source of these lights. Where else can our readers learn about you and your work? I'm still working on a website, but I'm very active on my Facebook page. I announce when I have new stories published and interesting odds and ends that inspire me. My Facebook shop includes links for purchasing some of the anthologies my stories are included in. Halloween might just be my very favorite holiday. It's creepy and fun, fueled by sugar and imagination. In other words, it's right up my alley! So, when I was invited to help judge the 2017 Spoken Word Halloween Contest for Pandora's Box of Horrors, I jumped at the chance. David Lewis Paget's "Mythmaker" won "for form and literary structure, for spoken word delivery, scare factor, and for the “totality” of the tale. Judges agreed it had great story appeal, a satisfying completeness of the story, and a well resolved dénouement." David was kind enough to answer a few questions about his work for me. Tell me a little about you as a writer: I began to write back in 1966, mainly short stories, but then poetry. I do remember that a love of language was involved, and I was most impressed by some of the Lennon/McCartney lyrics of the time such as, "she kept her face in a jar by the door." They had a surreal ability to open whole new vistas of thought.... "Lucy in the Sky with Diamonds" etc. I was educated in England, so my exposure was to the old English Poets like Blake, Coleridge, etc. who all wrote in rhyme and metre. I was determined to master rhyme and metre right from the beginning, and refused to go the way of free form, which I always considered to be the lazy way out. I wrote interpersonal poetry for the first thirty odd years, until I was convinced that I'd eventually meet myself coming back, or begin to repeat myself, which I didn't want to do, Then fortuitously I took a teaching job in China for a year, and was exposed to Chinese Folk Lore which fascinated me. I came to the conclusion that the only poetry that really survives is that which tells a story, so I began to write in a narrative sense. Since then I have written well over 1,000 narratives, which takes my total output to over 1400 poems. I publish through Lulu.com and have seventeen books of poetry available there, for those who would like to check them out. What was the inspiration for your piece for this contest? 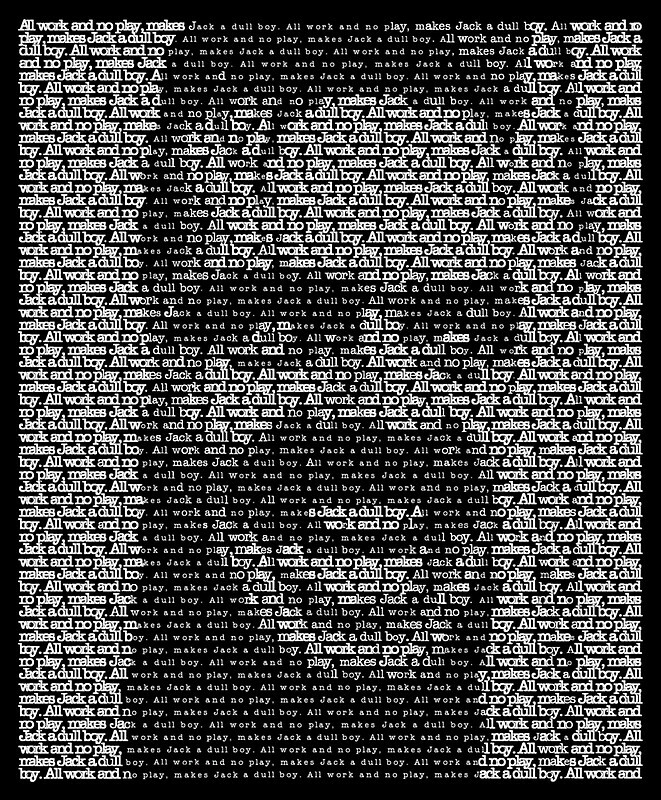 The 'Myth Maker' is merely just one of many Gothic Type themes that I've played with over time. I like to wander across a landscape that exists outside what we might describe as 'normal,' where the most improbable things happen to the most improper people. I was a very early fan of Edgar Allan Poe, having gorged on his 'Tales of Mystery and Imagination' at the age of eleven, when my father pointed it out to me on his bookshelf. That experience captured me for life, and I attempt to continue Poe's experimental works in my own style of Gothic Narrative Poetry. As a horror story, I think the Myth Maker hits the spot. Where else can our readers learn about you and your work? All my poetry is posted onto the timeline of my Facebook Page, as a link to the actual work on WritersCafe.org. I usually post to about 15 different sites, so as to try and gain as wide a readership as possible. So you may befriend me on Facebook, or on WritersCafe to view my work. On Facebook I only accept friend requests from people whose own pages reflect an interest in poetry or literature of some kind. But I usually accept all requests from people on WritersCafe. I hold a monthly reading over Gulf FM 89.3 which is streamed, and may be heard anywhere in the world.This is on the last Wednesday of each month between 12.30 - 1.00pm South Australian time. It's part of the Copper Coast Writers Program. I also have a number of video readings on youtube, and some audio readings on Soundcloud. Just google my name on those sites to bring them up. In addition, Jeanette Leone Skirvin has collaborated with me on recording some of my poetry as videos, and are certainly worth a look. All on youtube. I'm big on setting goals and challenges for myself. I track my word count, my exercise, my meals, and my reading among other things. 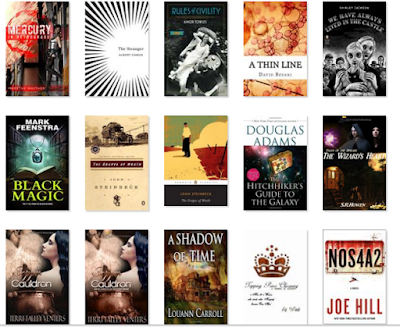 In 2017, I set my usual goal of 52 books, one a week. I'm nearly there already and it's only October, so I think I'll make it. But I thought it might be fun to look at what I've read this year. Not all of my reading is self-selected. I participate in two book clubs. But I chose those books clubs precisely because I wanted to be led to books I might not have found otherwise (and because talking books with other readers is one of life's greatest pleasures). 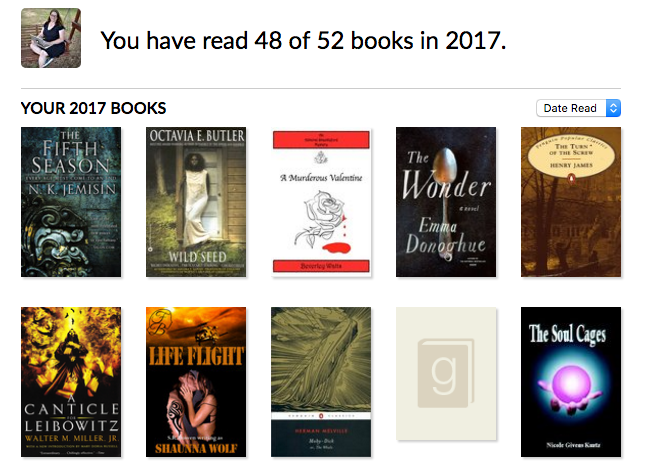 Goodreads says I've read 48 books in 2017. That's a little off. Three books got counted twice in different editions. One is a book of writing prompts, which I did look through and use some of…but did I "read" it? Not exactly. So, let's call it 44 books. Not bad, especially when you consider the busy-ness of my life (day job, writing life, two kids, husband, rescue dog, occasional social life). Read more people that I know. I have a lot of writer friends. 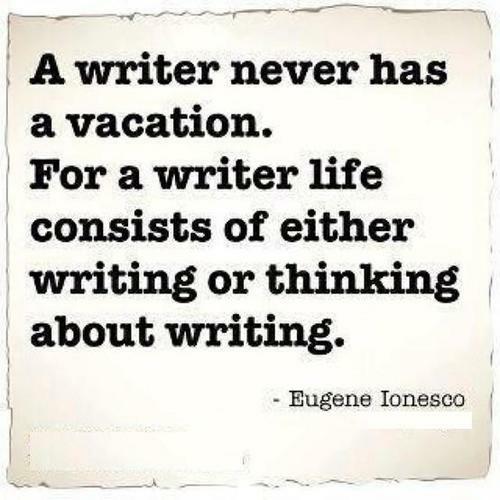 That happens when you're a writer :-) I haven't read enough of their work. Twenty of these books were written by people I'm acquainted with either online or in real life (Twenty-one, if I count my own book). I've got some truly talented friends and colleagues out there. I also wanted to read more women. Despite being one myself, I found that I haven't been reading as many women authors as you might expect. Twenty-one of these books were written by women. I wanted to read more people of color. Eight of these authors (that I know of) meet that criteria. I believe that we are what we read, just as we are what we eat. I read to get to know other lives, to deepen my understanding of the world and learn about things I know little about. Reading is an escape and a solace, but it's also an opportunity to stretch and grow and expand yourself. How about all of you out there? 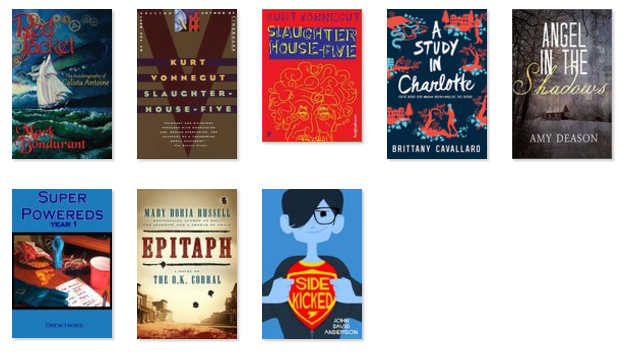 What have you been reading this year? Why? Did you choose it or just kind of end up there? Life can be such a horror show sometimes. People are jack-holes or just thoughtlessly, selfishly cruel. Systems fail us. You would think that would make horror fiction unappealing, but at least for me it only adds to the appeal. Especially at this time of year when I'm in a long stretch of no breaks in the school schedule, honeymoon period ending, I'm ready to escape. I want excitement in my story, but not any real-life trauma or drama. Even though these stories are tense to read or watch, they are relaxing in that I don't really believe they are true. So, I look to horror at this time of year in my reading and movies. This year, I'm giving it a go in my writing as well. 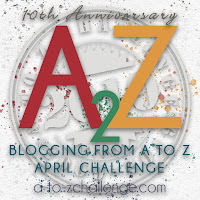 I'm playing along with a friend's challenge to write a piece of flash fiction every day in October. She calls it Nightmare Fuel, and provides a creepy/spooky picture every day. You can follow the collection of prompts here and you can look at what I've been up to here. Here are some of the images I've been writing from. It's led to quite a range of spooky things: creatures hidden in fog, invading aliens, transformations, inanimate objects moving, tortured spirits. I'm really having a great time remembering the playful side of writing for a while before I get back on track for NaNoWriMo. I thought it had to be a statue. Though I couldn’t imagine why anyone would go to the trouble to place a sculpture out here. This little lake was hardly a tourist attraction and the path so little traveled that I had to beat down weeds in places to get through. But still, the figure by the water had to be some creation, a fake thing. It was so still you see. No rising and falling of the chest. No sound. It squatted there at the water’s edge in a position that made my hips hurt just to consider. It’s impossibly skinny arms stretched too long in front of a rounded back that also seemed elongated and out of the expected proportions. Its attention remained focused on the space between its elbows. I stopped. My hand crept to the gun at my side. I couldn’t have said why, but when my hand drifted that direction, I tended to let it. I think my subconscious has some secret pathway that goes straight to my trigger finger without involving my brain along the way. I don’t resist it. It’s saved my bacon more than once. Nor did I call out. Idle curiosity trapped more than one fool. If there was a choice between knowing and living, I knew which I’d choose. What was the old saw? Ignorance is bliss? Sometimes it really is. I took a step backwards, feeling too exposed where I stood. When I snapped a twig with my boot, I thought I was toast, but when I looked back at the muddy bank, the figure had not moved. The arms and head seemed to be fusing together, forming an elongated triangle. The process was slow, molasses slow, but a change was definitely happening. The human-looking pieces, the head,arms, legs, and torso all melted into one another, bit by bit, until the creature stretched long and flat, with a dangerous and toothy snout aimed out at the water. The eyes didn’t open until the bumps began to rise on its back. Crocodile. There had been stories, tales I’d heard all my life, of the crocodile people who populated the swampy backwoods areas. I never thought I’d see one. The yellow eyes blinked. First one and then the other. Like a wink. Then the creature smiled. The long mouth flexible, turning up in a weird, toothy parody of the human expression. I tipped my hat. Courtesy never hurt. A little respect could keep a body whole. It was worth a shot. Both eyes closed and the crocodile-man pushed into the water. I watched for a long minute before I lost track of him in the muddy waters. I turned back and picked up my pace, hoping the transformation back to land-form took as long. I might could make it to shelter before he hunted me down, if I hurried. Tales From The Underground is available on Amazon at https://www.amazon.com/Tales-Underground-Twelve-hidden-legends-ebook/dp/B075ZQ579N/. You can also learn more at www.inklingspress.com. Each story also includes information about the writers, so if you fall in love with one of the works, you can follow the links to learn – and read – more. It's the first Wednesday! Which means IWSG Day. Today's question: Have you ever slipped any of your personal information into your characters, either by accident or on purpose? After you see what I have to say, be sure to check out other posts and our lovely and generous co-hosts: Olga Godim, Chemist Ken, Jennifer Hawes, and Tamara Narayan! Writing is my therapy. Often, it is through my writing that I find out what is bothering me at a subconscious level. Like many an introvert, I prefer to stay a little hidden. Like an ogre, I've got layers. Some of them are even hidden from myself at times. I'm not comfortable with most forms of therapy. Hashing things out with a stranger has mostly caused me more anxiety than it has solved (I'm not putting down the process; I know MANY people that traditional therapy has helped. I'm just not one of them). But if I write, especially if I write fiction, so that I fool my brain into thinking that none of this about me, I end up working my way through a lot of issues. And that is truly therapeutic. The first novel I ever wrote (unpublished: His Other Mother) was like that. It wasn't autobiographical at all. The main character had in common with me only that she is a teacher. She was younger than me, very different from me in personality, dealing with infertility and schizophrenia which are not issues I've had to personally face. So, while I was writing the novel, I was sure it was all fiction. But when I got to THE END and starting revising the novel, I realized that parts of me were all over that book. The husband and wife dynamic was very similar to my first marriage (though I reversed the genders, writing myself as the husband and my ex as the wife: bet Freud would have a field day with that). Because schizophrenia makes up more than one branch in my family tree, I worry about my grasp on reality sometimes. Writing Sherry Morgan helped me feel my way through these issues, without feeling like that was what I doing. When I discovered that, I was shocked. I'm not a fan of fiction as disguised memoir most of the time. I've never set out to write a book about myself. I just don't think I'm that interesting, not compared to my imaginary friends who go out there and do things I only think about. But I've found a comfort in expressing my worries and doubts through my characters. Though most of my characters are not very much like me, they do share emotions and prejudices with their creator. Through my Menopausal Superheroes series, I've worked through some of my issues with the medical establishment, aging, and sexism, for example. I've never flown without an airplane, or thrown a pick-up truck, but my heroines all reflect my experience in some ways. I definitely value writing for a way to talk to my own subconscious and come out the stronger for the experience. I've written before about what a game-changer a daily writing habit has been for me: here, here, and here, most recently. It's not for everyone, of course. Creative process works in mysterious, highly individual ways, and every day is not feasible for every artist. But for me, it meant steady, forward progress, finishing things. 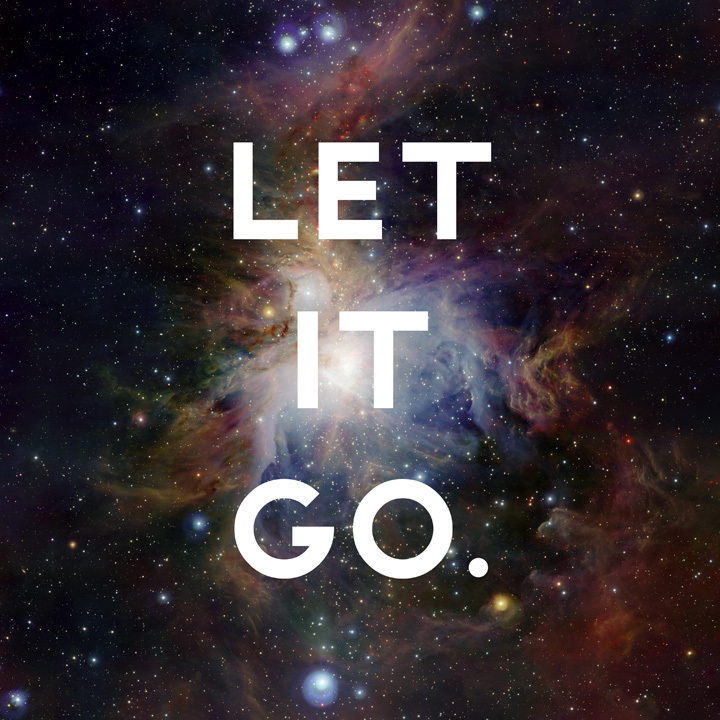 Even more importantly, I stopped wasting time floundering around and trying to remember my own story. I've written a heck of a lot in four years. According to Magic Spreadsheet, one of the tracking tools I use, I've written nearly two million words in that time frame. (When I'm editing and revising, I count 10% of the words I process in that session as word count). 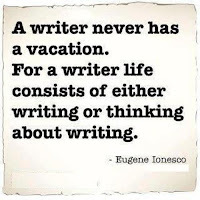 My school-day nightly goal is 800 words, my vacation-day goal is 2,000 words. A day still counts as a writing day so long as I make the rock-bottom minimum of 250 words. 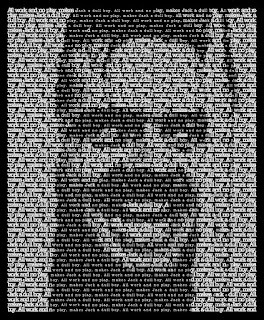 (It's best when it's not just "All work and no play makes Jack a dull boy" over and over). I've seen three novels, a collection of short stories, and seven short stories in multi-author anthologies onto bookshelves during that span. I swear, I look at the pile of books and I feel like Ozymandias: "Look upon my works, ye mighty, and despair!" (though I hope that doesn't leave me crumpled in the desert with dried up pages blowing by in the wind). I still want to be more productive. I'm a twenty-first century girl after all, and I want to make sure I live my dreams to the fullest. I have too many unfinished projects and too many still waiting for me to develop them. As I move into my fifth year of daily writing, I plan to be a little harder on myself. 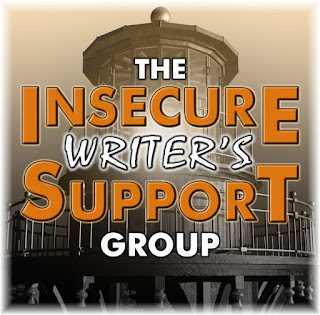 Up until now, I've counted all writing: blog posts, articles, book reviews, marketing plans, synopses, journalling, etc. I still plan to keep track of all that work, but for a day to count as a writing day, it must include at least 250 words of fiction. After four years of building this habit, I'm not willing to let myself slack off. My expectations for myself will continue to rise. But right now, I'm just breathing a moment of satisfaction, sticking out my chin and spreading my prideful feathers. Look how far we've come! …I think I'll celebrate by adding 250 words to my newest novel. We're Team Fluttershy! Because here on Balancing Act, we're both quite sweet unless you provoke us, in which case, we are terrifying. Beth, a military widow, left her life behind ten years ago to start over. Now due to an unexpected situation, Beth is forced to return home, but without fail finds herself caught in middle of making decisions she’s not ready to make, torn between her present state of happiness and the life she left behind so long ago, and becomes quickly overwhelmed by all her past rushing towards her with so many unanswered questions. DB, Beth’s former brother-in-law and has been a best friend to Beth all her life, but now needs more than anything wants to know and most importantly understand why she left so abruptly ten years ago without even a good-bye. So, will Beth’s visit force her to face her past and reveal more than one secret that could change her future forever? Or will DB force her to leave again and never look back? Under a hot summer sun, sitting quietly with tears streaming down my face, listening to the 21-gun salute ringing out in the distance, and clinging to a folded American Flag, all I could think was that this was all just a dream. Military wives always dread two things, moving and ‘the phone call’. It was earlyThursday morning, as I was getting ready to head out for my morning jog, when something told me not to leave just yet. Ten minutes later the phone rang and it was my brother-in-law, Dallas ‘DB’ Bryant. The moment I heard his voice I knew something was wrong and my life would forever be changed. “Beth…” there was a long moment of silence, “…do you remember the promise I made?” he struggled to say. Here’s the thing about promises, they are meant to be broken, but this one was made to ensure it would never be broken. Jackson ‘Gage’ Bryant, was my best friend and high school sweetheart, we were married two weeks after graduation in a small intimate ceremony and then six weeks later he and DB were off to boot camp. They were inseparable. DB was almost two years older than Gage, but the military was a passion they shared, other than sports and women. Against their family’s wishes because of the war in the Middle East, not to mention there was a strong family tradition of military men in the Bryant Family, they enlisted together. They insisted it was something they had to do for not only their country to preserve the freedom they cherished, but for generations of Bryants to come. We had been married a year when their unit was scheduled to deploy to Iraq for eighteen months, with possible five-day weekend home passes every four to six months. I made them promise that if anything was to happen, for one of them to call me or their family before the military officials did. “Beth, are you there?” a shaky voice questioned. “Yeah,” I choked as the tears began to fall down my face knowing this was the call I didn’t want. “Gage…” he started, “…Gage is gone Beth” he continued with another moment of silence before explaining what happened. He and three other members of his unit went out on patrol early this morning when an Improvised Explosive Device or IED, otherwise known as a roadside bomb, detonated near their Humvee. There weren’t any survivors. Two centuries ago, a fiery celestial orb ignited the night sky over Earth’s northern hemisphere. From it rained down a hive-mind of shapeless creates called Yuva. They took on human form with the peaceful goal of growing their numbers and then leaving without ever being discovered. But when years pass without a single Yuva birth, panic and confusion rises, and they begin to blame the humans for their demise. Essence is a Yuva Commander. Just as she is trying to rein in her people’s sinister plans against the humans she believes to be innocent, her sister is stolen away by a covert team of government contractors. Essence risks her reputation and the lives of her enclave in a daring rescue effort, but discovers that saving her sister is impossible: the humans have developed biological weapons that render her shapeshifting inert, with higher dosages lethal to all Yuva kind. Undeterred, Essence leads an escalating war to save her sister and ultimately her own kind, but when she uncovers a secret about the two very different peoples, she realizes they might not be enemies after all, and, for the ultimate price, humanity might actually be the savior of her kind. In 213 years, Essence had never killed a human. The thought of ending such a delicate life brought on a crippling nausea only six weeks ago. The back of her teeth clenched, rotten acid dripped down her throat. But now, shivering against the metal plank, weaponized vapors burning her lungs, she knew one thing: death came for all. A heavy door scratched at its hinges and rattled open. Essence startled. The jarring noise meant only one thing. Either they captured someone new, or they extracted someone old, neither would ever be seen again. Today it was someone new. Down the concrete corridor outside her cell, soldiers dragged a woman along. The scrappy push and pull of resistance clanged in a lopsided rhythm. One of them limped. Maybe it was the captive, maybe it was one of the soldiers. The unit stopped at an empty cell two down from hers. Aluminum batons shoved the woman in. She sobbed. Essence searched the vocals, isolating the rich timbre of the young voice. No. The new captive wasn't the one she searched for, the one that led her to this place, the one that got her caught. But the woman didn’t have to worry. In a few minutes, Essence would set her free. She’d set them all free. Rubber soles turned on the linoleum floor, the squeak pitched high and hurt her ears. The soldiers headed out the same way they came in. But one of them didn’t follow his comrades.